Charles Hopkins is one of South Africa’s winemaking elite. After graduating from Elsenburg College, the prestigious Stellenbosch-based school of winemaking, in 1986, he honed his craft at Bellingham Wines and then, Graham Beck, for 15 years before he was offered the opportunity by the late Sir David Graaff, owner of De Grendel Wines at the time, to usher his Durbanville-based winery into the 21st century. You have travelled extensively throughout the wine world - from South America and California to France and Spain, as well as to Australia and New Zealand. What impact does experiencing harvest season in other countries have on a winemaker? There’s merit to both approaches, but what I learned in the process was that when you create a brand around your wine, you have a responsibility to be consistent – otherwise you lose all trust. I’d say 95% of my attention goes to brand and 5% goes to experimentation. Of that 5%, there are so many ideas that simply don’t work, but the insights you gain from that often means a breakthrough – whether it gives birth to a new blend or leads to tweaks to your existing wines. Exploring the way winemakers in other countries approach wine definitely had an impact on me, but my goal has always been to make a full-blooded South African wine; not to copy what I had learned, but to use that knowledge to make the most of what we have here. For this reason, I love Pinotage. It’s the most unique grape variety to South Africa (Pinotage was bred in 1925 by the famed Prof A.I. Perold from a combination of Pinot Noir and Hermitage grape varieties). It’s one of those wines where people either love it or they’re not very optimistic about it – and for good reason. In the wrong hands, its flavours become too tart, but in the hands of the right winemaker, Pinotage can be one of the most incredible wines you’re likely to taste. Similarly, Chenin Blanc (one of South Africa’s most authentic white wines) has so much potential to become South Africa’s top white wine. How does South African wine compare to that of France and California? I find the French wines to be incredibly subtle and balanced. They really do make some of the best wines in the world. When it comes to Californian wines, I always have to remind myself that they have a huge market domestically, so they’re not very focused on exporting their wines. As a result, they cater for a very commercial palate. If I had to criticise, I’d say that their wines are a bit over the top. Personally, I feel they overdo the alcohol and many of their wines are too sweet, because they often add grape juice or sugar. Their wines are too much designed and crafted for the market, boring even. I want wine to fill your mouth and to tell a story – one that has personality and a sense of place. For the most part, South African wines do that. Looking back, it’s sad that our predecessors planted practically in the old days – small farms with many little blocks of various cultivars. Had we focused more on which wines perform the best in our various wine areas rather than focusing on greater variety, the South African wine industry could have been a lot stronger now, because we’d have greater volumes of a specific wine. This would have meant that we would have been able to better compete with big wine-producing countries like the US, France and Italy. You didn’t just join De Grendel as winemaker, but as co-architect of its new vision under the late Sir David Graaff in 2005. How has this impacted your work? I’m unbelievably privileged to have had the opportunity to design my own cellar. I’m not great at ambience and the finer elements of design. My forte is the cellar, and in every aspect of its design, I looked at the flow of the grapes, from where they come in to where they leave cellar. I didn’t want to try new things that would have a negative impact on the wine. The emphasis was on the balance of light and air to me. Cellars generally tend to be too dark, in my opinion. The way it’s designed means I can do a lot of the work alone on a Sunday night, if need be. As a winemaker, you almost always inherit a cellar from your predecessor, which comes with a lot of frustrations. But when you design your own cellar, you do what works for you – you put your own stamp on it – and it just makes you so much better at what you do. What distinguishes the Durbanville region from other wine-producing areas in the Cape? The topography plays a big role. We have lots of hills and valleys and are only about 7km from the coast – and mostly between 180-290 metres above sea level – so the cool breezes in the afternoons means that the area is utopia for Sauvignon Blanc. 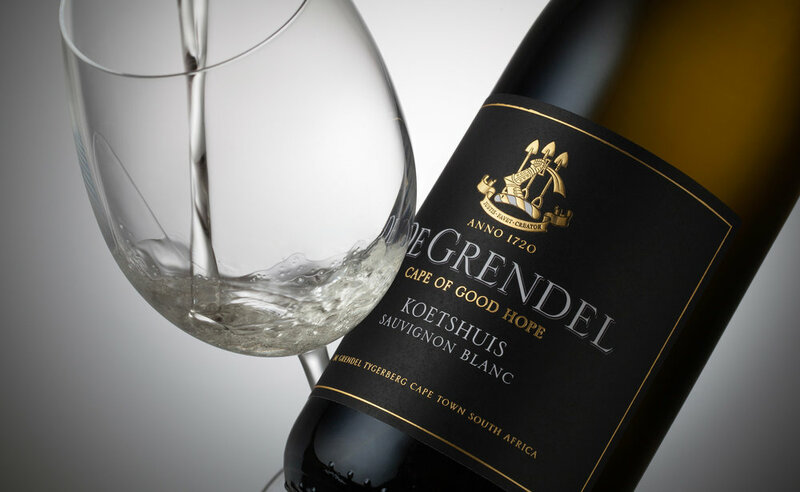 Although De Grendel has done really well with these varieties in the past, Pinot Gris and Viognier tend to struggle in the area – the viscosity of these wines is too high, in my opinion, but Sauvignon Blanc and Merlot do incredibly well. What would you classify as your signature wine? Sauvignon Blanc is very close to my heart, De Grendel’s Koetshuis in particular. When it comes to red wine I like a peppery flavour, so I have a soft spot for Shiraz. Which aspect of wine continues to fascinate you? The fact that you work so closely with nature. Every year is different. And to me, there’s no greater thrill than planting a new block, watching it grow and yield its first wine-producing harvest after three years. Then, watching it mature into adulthood, and discovering how it changes the taste of the wine. It’s like raising children! In the same way, I also love sharing my experience with young winemakers. To buy De Grendel wine or to arrange a visit to the estate, go to degrendel.co.za.